Fawns are born late May and early June which means anytime now, you might get to see a mother with her new baby. 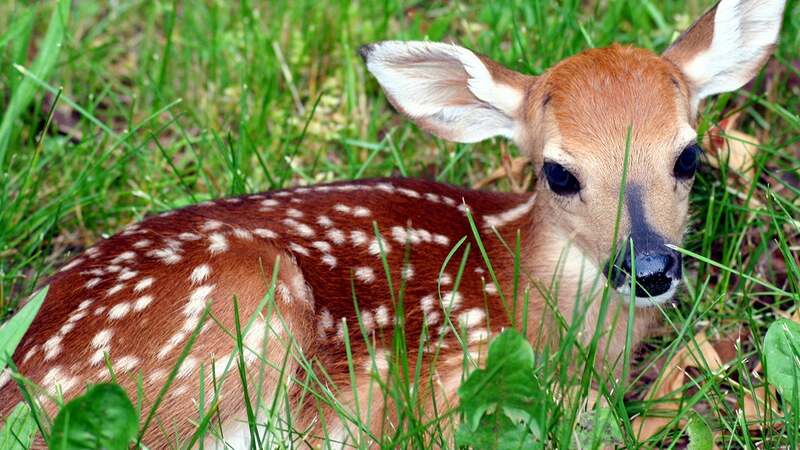 If you find a baby deer all alone, know that it likely isn’t lost or orphaned. For the first weeks of its life, a fawn can spend 95 per cent of it time sleeping or laying down. It also has very little scent which means predators can smell the mother but not her offspring. For these reasons, the mother doe will find a safe spot for her baby and then leave for the better part of the day in order to not draw predators to her vulnerable child. If you stumble upon a small deer sleeping in tall grass or even your backyard, just leave it alone. Its mother still loves it and will visit throughout the day to check on her baby and to feed it. Gibsons Wildlife Rehabilitation Centre - What to do if you find a fawn alone.